Original Revitalising Toner is a mild fruit acid toner whose astringent properties assist in revitalising skin and refining its texture. This toner also helps to remove residual make-up and cleanser, and gently encourages exfoliation. At the same time it restores your skin’s natural pH balance, and enhances its radiance and beauty. Helps to restore the normal pH balance of your skin, helping it to glow with health. 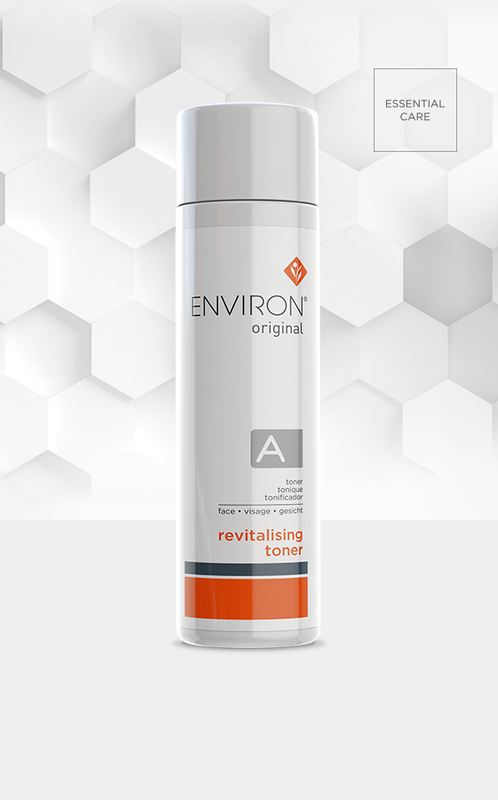 Works in synergy with the Environ vitamin A moisturisers to help improve the overall appearance of your skin. Gentle enough to be used morning and evening. After pre-cleansing and cleansing, apply the toner with a cotton wool swab. If necessary, dilute the toner by applying it to a moistened cotton wool swab. Allow to dry before continuing with your Environ skin care routine.